We were all hoping for a perfect Assassin’s Creed game from Ubisoft with the launch of Aassassin’s Creed: Unity, but it appears that we got yet another rushed product that is filled with glitches and bugs and all sorts of problems, and we have to once again try to solve them on our own until the developers decide to fix them or at least try. So we’re here to share with you a guide on how to fix Assassin’s Creed Unity crashes, freezes and all the other problems that you might encounter when trying to play the game. It won’t be an easy job, but fortunately it’s been made easier by some recent patches. Ubisoft is aware of the problems plaguing their game and they tried to fix some Assassin’s Creed Unity crashes, freezes and so on by launching two patches already at the moment of writing this article. So the first thing you have to do is to make sure that you have the game patched with the latest update and many of your problems will be gone. 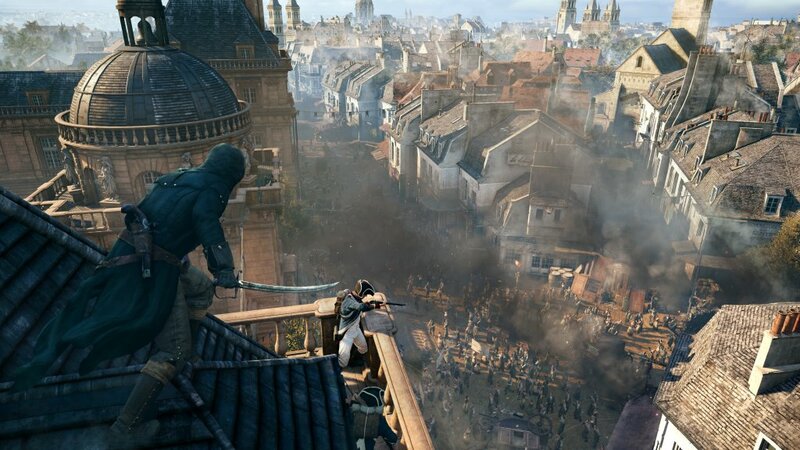 If that’s not the case, we have some tips and tricks on how to fix Assassin’s Creed Unity problems, and we’ll start with the common sense one: if you’re running the game on a PC, make sure that your computer meets the minimum system requirements and adjust the graphics according to the power of your rig (the lower the settings, the better the game should work). Also, make sure that you have the latest version of drivers installed on your computer, both for your graphics card and the sound card! This error message is fortunately one of the easiest to fix in the game. If you get it, simply disable Uplay’s in-game overlay. Alternately, go to the install folder of the game and delete the ACU.exe file. Then go to the game in Steam and click the option to verify the integrity of the game files. The game will re-download ACU.exe and any other missing or corrupt files and you should be able to play. If you’re running on Uplay, click the drop arrow next to the game and select ‘Verify game’. If you still get the error message, quit Uplay or Steam and try launching the game. If you still get this message, restart your computer and try again. This error message is related to the .NET framework installation and all you have to do is to install/reinstall it. You can find the latest version here. Make sure that you close all your background programs before starting the game. On console, make sure that there’s nothing running in the background either (some PS4 owners reported stuttering in-game and it was caused by the latest firmware update). If you’re on a PC, try to disable SLI if you have it. If you’re running on a laptop, make sure that you have it plugged in as the game is extremely resource-demanding. It appears that some AMD Graphic card owners are having trouble playing the game, and Ubisoft is aware of that. Here is what they said: “We are aware that the graphics performance of Assassin’s Creed Unity on PC may be adversely affected by certain AMD CPU and GPU configurations. This should not affect the vast majority of PC players, but rest assured that AMD and Ubisoft are continuing to work together closely to resolve the issue, and will provide more information as soon as it is available.” So if none of the fixes above work and you have an AMD graphic card, you can only wait and hope that a fix is released soon. Right now, this is everything that we have for you, guys, but we’re working hard to figure out any additional Assassin’s Creed Unity fixes for the crashes and problems, so make sure to check back soon. Also, if you figured something out, let us know in the comment section below!